If your coaches are available in May I'll certainly take them from you with thanks! I'm a bit worried about your comment that 'That's one big difference between OO rrackplans and O-16.5 trackplans: the latter will need 2 to 3 times the gradient length to allow a track to rise to cross over another. I take it that this plan has no chance of success? Dont think it will work unless you have a rack railway. I would go for a simpler plan on the same level in the size you have made it. I've done a simple oval with a passing loop at each side (One behind the scenes and one on the main board). In 5½ ft I should imagine you will get 3 to 4 coach lengths behind a locomotive if you have a loop if using shorter coaches. I have just short of a 7ft board and I get about 5 to 6 coach lengths (4wheel coaches) behind the loco. Many narrow gauge systems ran short trains so it isn't too much of an issue. His view towards the front is not that great, but probably adequate? I have added some weight and light lubrication to the chassis - it runs ok, but I have not been able to run it in properly yet as I only have 1 metre of powered track . Next up will be the hand rails . . . 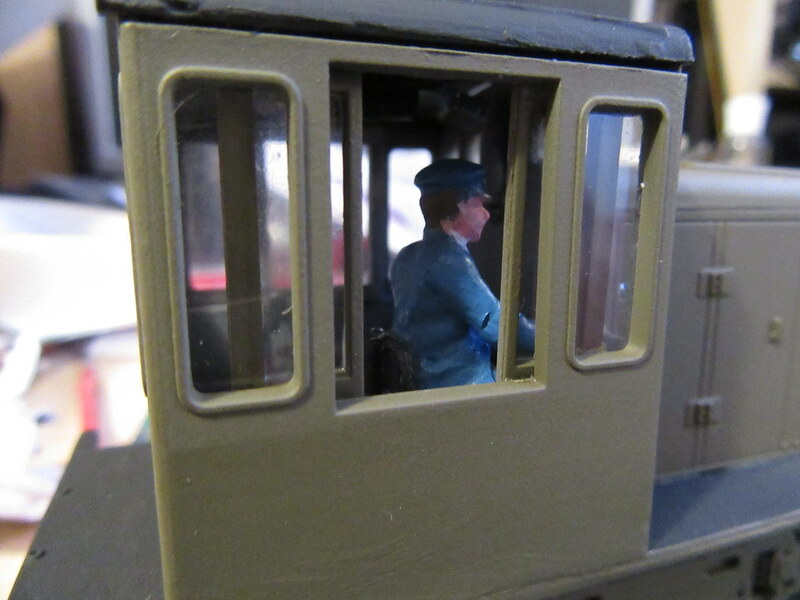 He really looks the part in his cab. Nice. I found that the wheel sets have a large sideways play in them (about 2mm!) in their 'axles' in the chassis - this has the effect of the wagon often sitting diagonally on the track! Whilst this may add yet more character (!) I wonder if anyone has a suggestion on how I could reduce this play? @Mountain I think you said you have a few of these wagons? Do you have the same problem? Mine are of the standard Sand and Hutton open waggon types. I've noticed they do have play, but the play is not noticeable with the axles... It is more due to the short wheelbase. I have three and they were purchased not long after the kits were first I troduced with this chassis. I think every chassis broke while I tried to clip in the wheels, which wasn't a big issue as it was easier to fit the wheels in position and then glue the broken chassis. Maybe alterations have been made since then? Mine do have sideways movement due to the very short wheelbase. 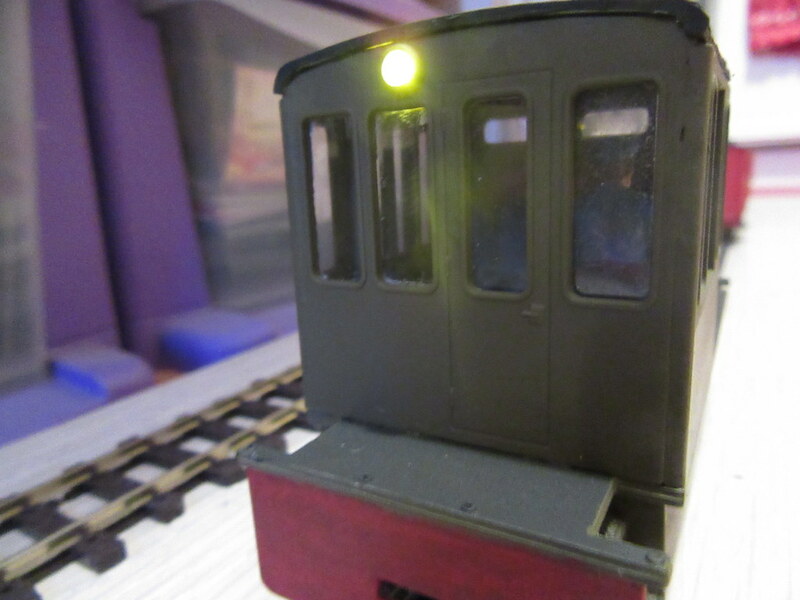 I started with one filing off the buffers ready to fit my central buffer design to them. I've yet to complete the work. One could use axle bearings? I believe they can still be purchased under the Jackson brand name. They used to be Romford. They are known as "Top hat" bearings and come in packs of 50 in a tiny sealable bag. The easy method is to drill out the axle boxes, then slot them in from the inside, fit the wheels and find a filler to fill the holes from the outsides of the axle boxes. The harder way is to drill out them from the insides to make a suitable hole, which may be much easier to cut the chassis to get holes drilled square to drop the bearings into and then glue the assembly back together. If one wants super rolling wheels, drill out bearing holes from the outsides, fit the wheels and dont fill the axle boxes... Dont glue them in ... The bearings and the wheel axles will be free to rotate and the wheels will spin for ages before they finally stop! I use bearings like this as an easy way to fix any bodged work... Let's say I drill a v shape too far in... The axles are too loose. Bearings can fix this issue. [Top hat bearings have a shoulder which stops the bearing from falling through the hole one has drilled for fitting them]. Now that is a cute-looking wagon. Yes, such a short wheelbase will wobble. 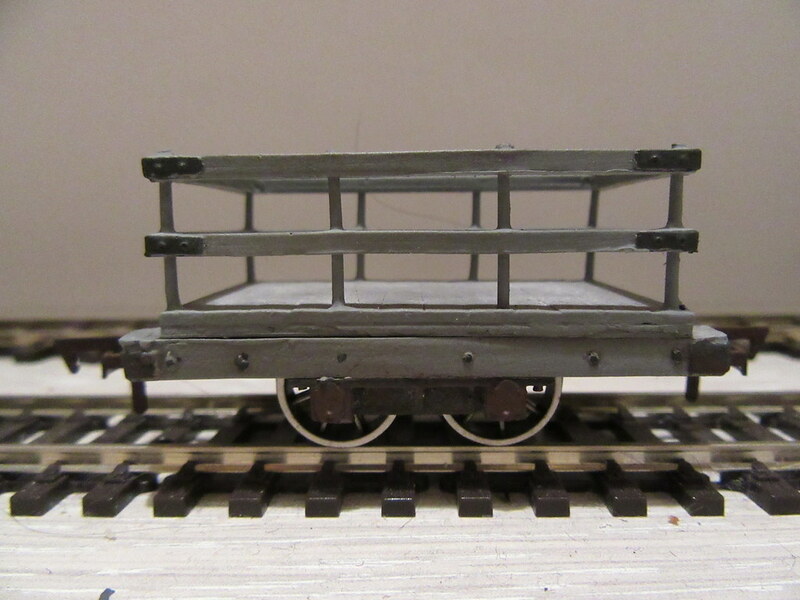 The GWR broad gauge had some goods wagons which had a shorter wheelbase than the gauge. Apparently they were quite reluctant to run straight. I can't see if that applies here, but it can't be that far off. One fix might be to run them in pairs with a bar coupling. (Attached ~1/4 way into the wagon, I'm thinking.) That should let each feed a bit of stability into the other. Terrific progress being made PNP. 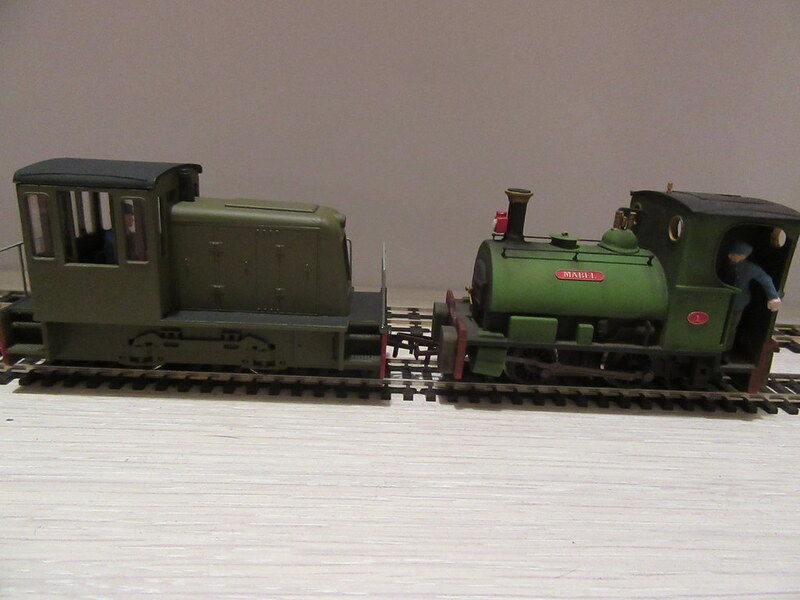 Both the diesel loco and little slate wagon look great. I get the sense you are really enjoying this foray in to 0-16.5, have you given any thought to a layout yet? I will order some brass bearings and see how I get on fitting them . . .
carnehan wrote: Terrific progress being made PNP. 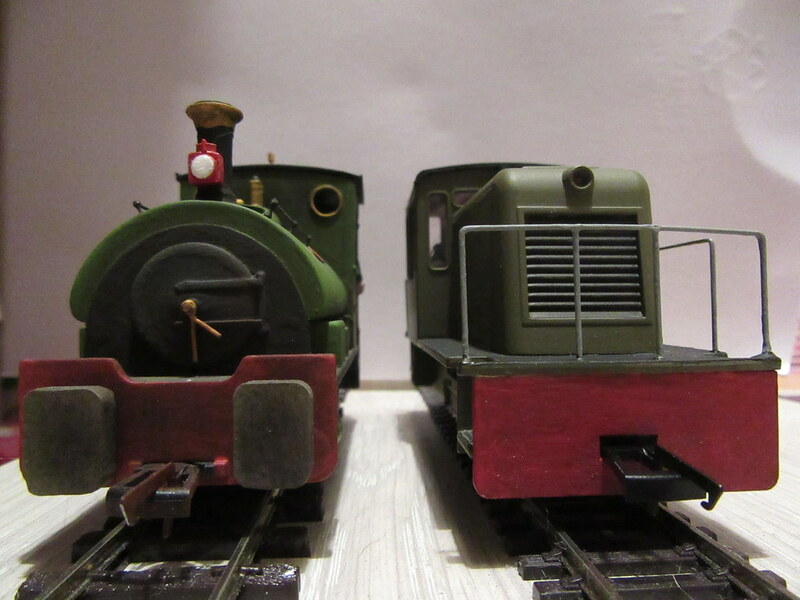 Both the diesel loco and little slate wagon look great. I get the sense you are really enjoying this foray in to 0-16.5, have you given any thought to a layout yet? Even if you dont use the bearings on this project, they are useful things to have in your parts box in case you may need them. I really like your 'Ronald' build, I am just wondering if the body could be hacked around to fit a bigger motor, like a 00 Class 06 or even a Class 03. I dont think it is too difficult to make a cab and use the rest from an 06 or an 03... An 08 also looks an interesting donor loco to enlarge the cab. I've seen a kit somewhere that converts an 08 to narrow gauge but I think it may have been in 009 gauge. The same principle can be done in scratchbuilding. For most of us who have a general idea how to put things together (Some modellers may struggle here at first!) there is not a huge difference between kit building and scratchbuilding. I say this, as with some kits one has to gently file out excess flash from windows etc. So those who've made kits are already half way there... Those who have not, give it a go! 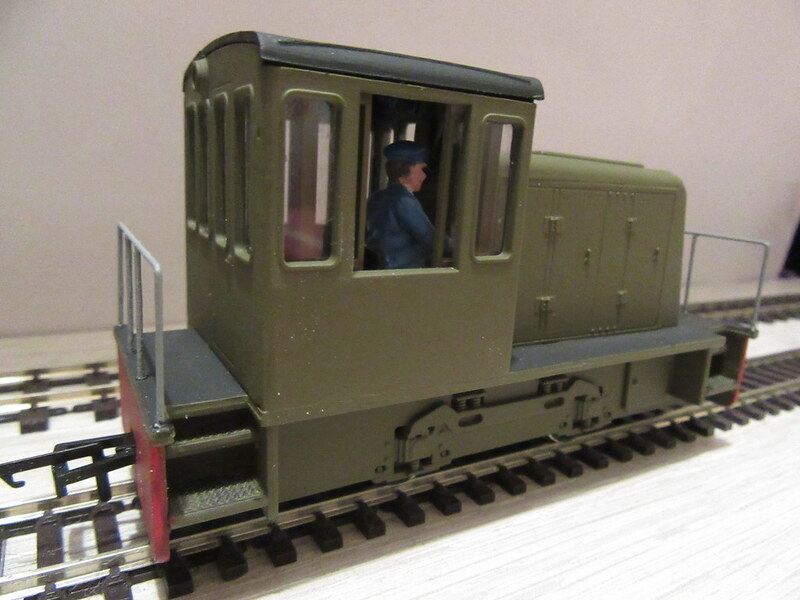 Start on an old cheapie loco and see what you can build! If it doesn't quite work out, try again, maybe with a different angle of approach. Find what works for you! Many locomotives have great potential for use as donor locomotives. I've even seen large bogie diesels made into narrow gauge locos. I tend to look for 0-4-0's and short wheelbase 0-6-0's due to their ability to take sharp curves. 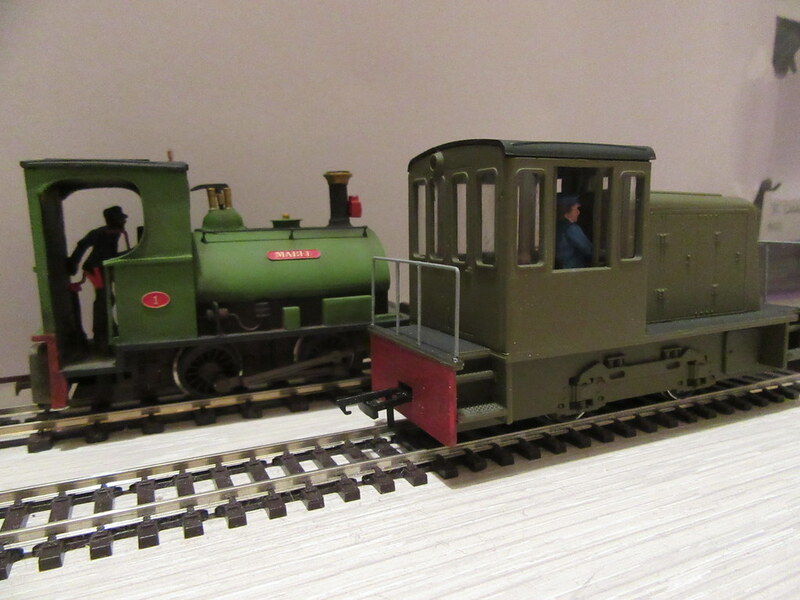 2-6-2 chassis has also been used to make convincing narrow gauge locos. Quite a few kits can be adapted to run on different chassis, though it may take some trial and error! 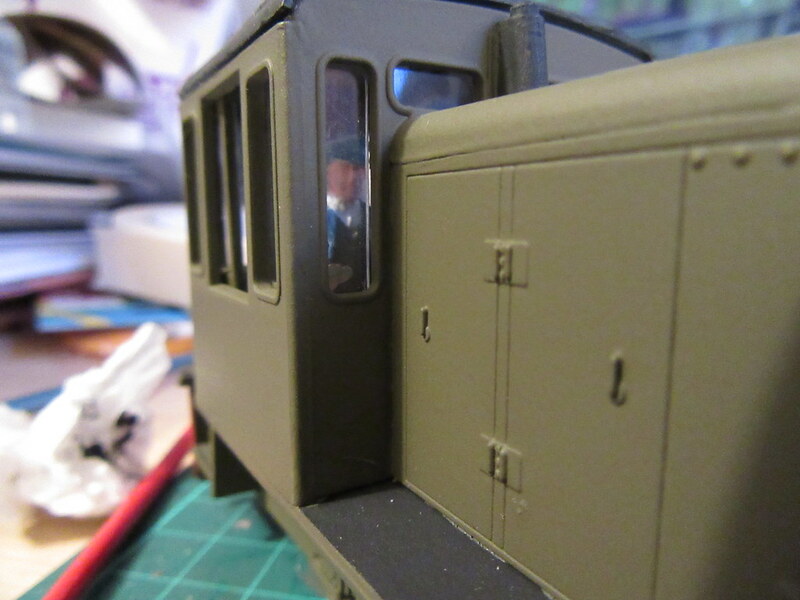 For example, when I decided to mount one of my Smallbrook Studio body kits onto a Triang chassis instead of the Hornby chassis it was designed for, I had quite some work to do! It was a type of job that while slowly trying to cut and grind the cast metal chassis which isn't an easy process... I was thinking if it would take me weeks! Fortunately it took me about two days of doing bits at a time untill the work was done. Didnt have the patience to keep going and doing it in a day! 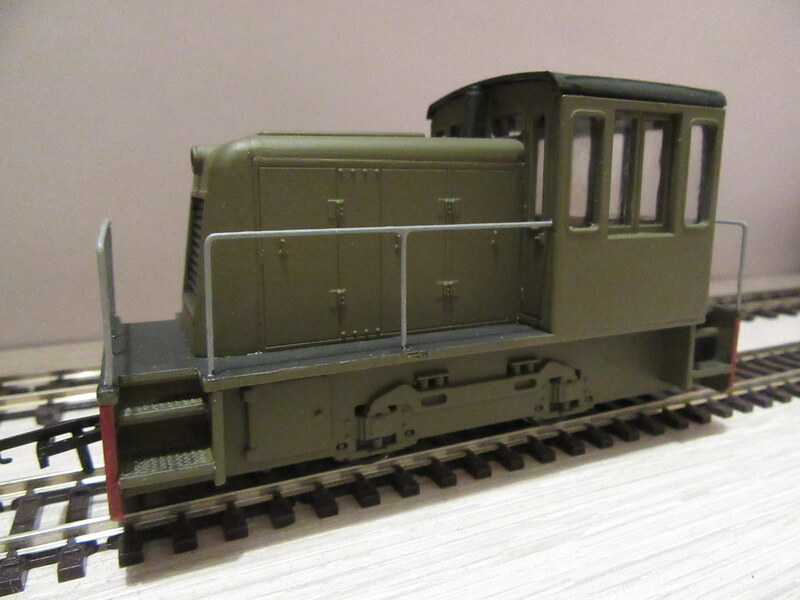 Dave wrote: I really like your 'Ronald' build, I am just wondering if the body could be hacked around to fit a bigger motor, like a 00 Class 06 or even a Class 03. Thanks . Yes this kit has definite possibilities in this regard (and is excellent value at only £15) - there is loads of room under the 'hood' (where I have stuffed my decoder and stay-alive) and some of the cab area could be used too, depending on the shape of your chassis, if you cut out the front of the cab where it joins the hood (and are happy to disguise any part of the motor protruding into the cab). The kit is available from slimrails. Very nice. You could do with more wagons to go with them. I'm at a stage of three locomotives built, (A few more loco kits not yet built!) and yet not a lot for them to pull. Hence why my modelling efforts turned to building coaches for now, though I find I prefer to build now and then rather then a full concentrated effort.